Larry Johnson just returned from Malawi where he and his group again released about 60 P. saulosi at Taiwanee Reef. Thank you David and your team at Stuart Grant Ltd. for breeding these!! As usual they did a short swim around and count all the P. saulosi they saw before the new fish were released. In 2013 we counted on average about 40 individuals during a 15 minute survey, and in 2014 Larry counted about 55. This year Larry and Pete Barnes counted about 175 in a 10 minute survey!!! The other divers soon lost count as there were several groups of 15-30 individuals! Even though this is fantastic news, P. saulosi is far from being recovered completely. One of the safari participants, Chris D’Amour, sent me some footage of Taiwanee Reef videoed while he swam around. On it there are still very few P. saulosi and the huge schools that used to cover the upper rocks 25 years ago appear to not have recovered as of yet. But everything looks like that they will as long as we abandon collecting the population. I want to thank Larry and his friends for releasing the P. saulosi for the third time, and also everyone who refrained from buying wildcaughts or asked wholesalers to import some. The video shows the release of the P. saulosi and was again shot by Peter Barnes. Thank you again, Pete! David at Kambiri managed to breed Melanochromis chipokae in good numbers and we need to focus on releasing that species back to the lake. More on that next time, I hope. 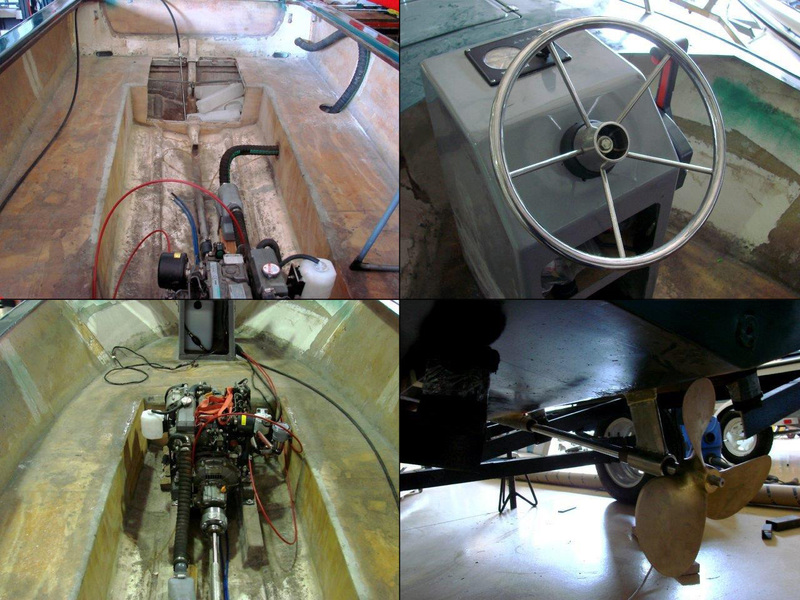 Two weeks ago I received some photos of the guard’s boat in which they managed to install the diesel engine. Everything had to be customized for a proper fit and that took a long time to figure out, but soon it will be shipped to Malawi. There has been a lot going on since Matt sent you the update [see previous update]. At the end of June the fines for poaching in the park disappeared because the trustee members were no longer willing to collect them. As a result, Lake Malawi National Park decided that it was time to apply in LMNP the same rules as are in effect in any other Malawi park. This meant that poachers caught in the act would be taken directly to the police and sentenced by the court. Following this new procedure, three fishermen were caught while fishing within park boundaries and brought to the police. This caused a provocation and a harsh reaction from the local community who demonstrated on the 27th of July, first blocking access to our staff and then marching towards Salima boma to the district house. The fishermen demanded immediate release of the three fishermen and the right to fish at the Maleri Islands. The fishermen were released the same day and a committee meeting was held on August 28th discussing the issue of fishing in Lake Malawi National Park. Present at this meeting were the Lake Malawi National Park manager, the District Commissioner, the Police District, the TA, and representatives of the fishermen. It was agreed that the fishermen would have the right to stop and rest in one of the bays around the islands in case of harsh weather only, but it was underlined by Park authorities that the law cannot be changed and that the 100m no-fishing zone is not negotiable and that any fisherman fishing within this area would be persecuted for poaching. This event had reached very high up in the government sphere and they have been very supportive and protective of the park laws. For now, the fishermen are still trying to break the law but we can see their attempts are getting fewer. All in all I think that now that the fishermen have been officially warned by the highest authorities it will make the job of LMNP patrols easier and we can already see good results coming out of the event. Thank you, Estelle, for keeping us informed about the struggle of keeping fishermen out of Park waters. 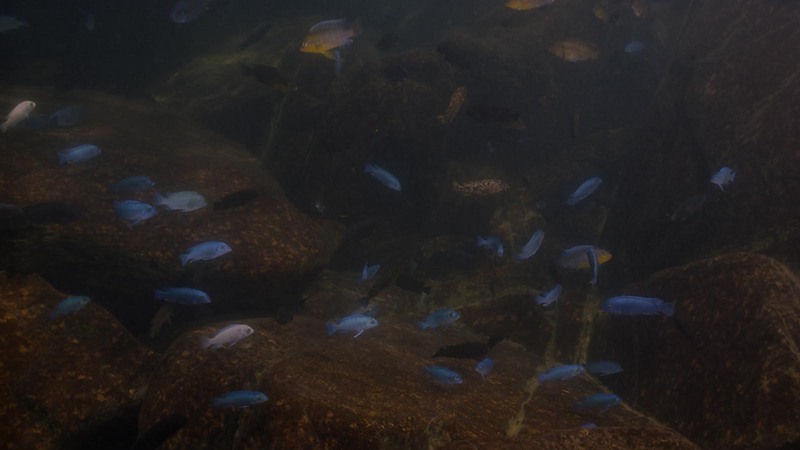 Thank you ALL for securing the cichlids’ future and for keeping extinction out off our tanks!